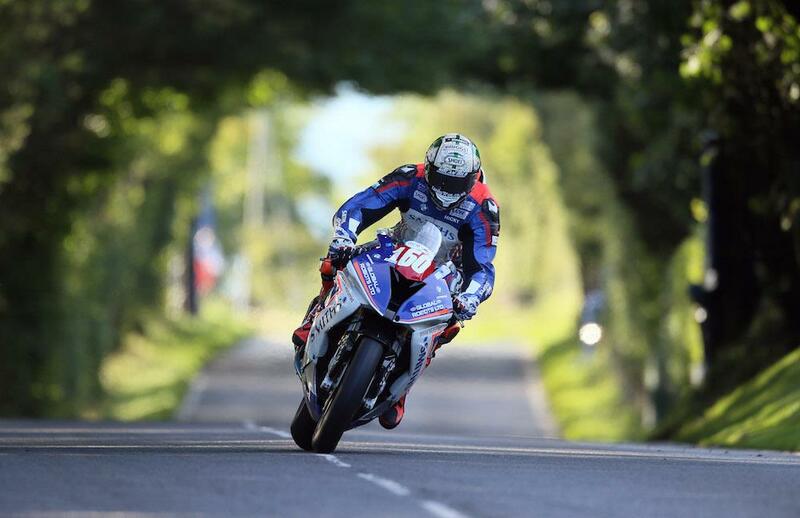 Peter Hickman opened today’s Ulster Grand Prix races with another lights to flag victory in the Superstock race. The Lincolnshireman has been in fine form this week, finishing P1 in every session and race he’s started but he didn’t have it easy. A rain shower this morning left the circuit wet ahead of the Superstock race, and while race bosses delayed the race by about an hour to allow it to dry up there were still a number of damp patches around the course. As in Thursday’s Dundrod 150 race, Hickman got the perfect start to lead all six laps with his lead gradually increasing as Dean Harrison and Dan Kneen battled it out for second behind him. The Silicone Engineering Kawasaki and Tyco BMW were almost inseparable, crossing the line just 0.044 apart at the end of the six lap race. Dave Johnson enjoyed a strong ride to fourth on the Fleetwood Grab Services BMW ahead of the Padgetts Honda of Conor Cummins with Jamie Coward rounding out the top six for Radcliffe’s Racing. It wasn’t a great race for Bennetts Suzuki’s Michael Dunlop, who had got up to fourth at one point and was closing in on the podium battle before dropping back to seventh, ahead of Ivan Lintin and Dan Cooper while Daley Mathison rounded out the top ten.